By Sheila - Canada - 21 Aug/03 - Viewed 1366 times. The flight to Vancouver was 9 and a half hours but went surprisingly quickly although i couldn't sleep as it was light all the way. We flew over Scotland, Iceland, Greenland and into Canada from the North East approaching Vancouver over the Rocky Mountains. 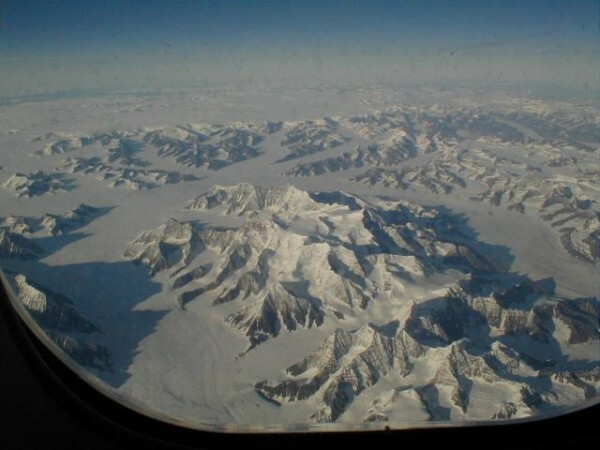 The views over Greenland were spectacular. Snow as far as the eye could see, at first interspersed with rocky peaks and then just flat snow for miles and miles. The only sign of life were fishing boats off the east coast.